we are glad to announce our latest additions to the DiviMonk Library. Now you will get 5 more amazing templates with the DiviMonk add-on for Divi Builder. 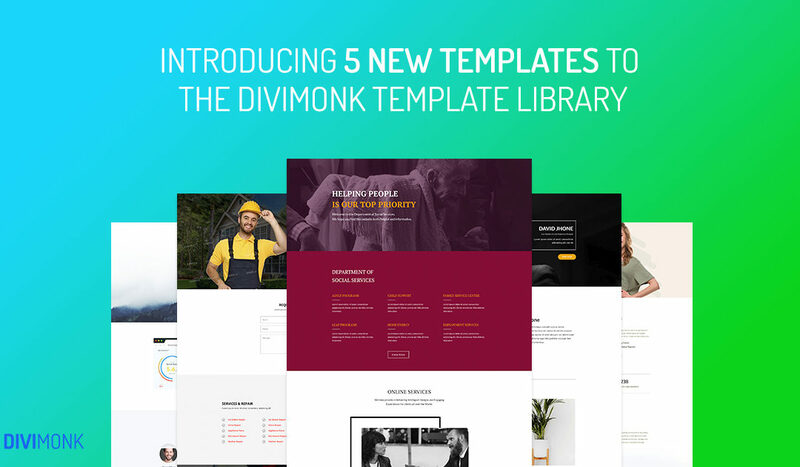 As we live by the rule of “making things better“, we constantly keep on adding Templates to the DiviMonk pack and to keep up this tradition, we have recently added 5 more templates to the library. This template will work flawlessly to make a digital presence for your repair shop. This landing page template has all the contents that you will need. Starting with, the hero section comes with a cover image and an infobox which you can use to display information about your business and below the text is an ideally placed CTA button. Below the Hero section, there is a contact section which allows the users to ask for a quote or reach out for any query they might have. Now it is also necessary to tell your customers about what all services you provide so you can do it via the services section. Coming to the bottom, you get the social sharing profile options and the testimonial section which will help in building trust with the brand. Now you can present the social cause you are working for most elegantly to the whole world. This social cause landing page will help you deliver the message of your nonprofit organization. The template comes with a well-designed hero section with a details section which will tell the users about the different aspects of your social campaign such as adult program, child support, family service center, etc. You can give a separate section which will tell the visitors about the primary services that you take part in and work for. The template comes with the testimonials section for clients as well along with a contact us section with social sharing compatibility. If you are planning on creating your digital identity, then this theme will do the charm. It has a beautifully designed hero section which you can use to add your image to the background and an info box with Hire Now CTA button. Below the hero section, there is a separate part which you can use to give a little information about yourself. If you are a photographer or designer, you can display your work using the gallery on the website. You can even add testimonials of your users using the impressive testimonials panel. At the bottom of the page, you can list your contact details, and with the contact form, you can give your users a chance to contact you directly. If you are running a renovation company, this template will work as a one-stop solution for making your digital presence. It has an impressive hero section with a strategically placed CTA button. Below that you can use the parts to tell different services that you are offering regarding renovation. You can also list the achievements you have made so far such as customers count and the number of handmade elements. You can also let your visitors know what others are saying about your services using the testimonials section and to make it possible that your users can contact you, you get a Contact Us section at the bottom. If you are an internet provider, then the most important thing you should take care of has a good digital presence. With this template, you can have a perfectly designed landing page with all the features that you may require. A strategically placed CTA button on the hero section makes up the starting of the website. Below that, you can list your features and functionalities of your plans and then display them in an using the pricing tables. Using pricing tables helps the users in making the best decision as the price and all the essential features are listed linearly. At the bottom, you will get a well-drafted contact us section. Now it is your time to grab this opportunity and make the most out of it by getting the DiviMonk add-on now! 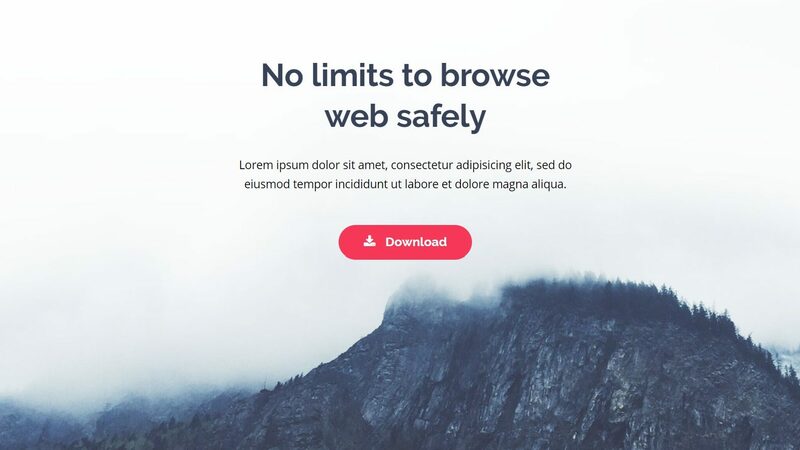 If you are running your own web design agency, then DiviMonk will work the best for you as it comes with more than 100 template and 80+ section templates! Get DiviMonk now! Now you decide which template we should add next. Comment your desired template below!